Our four indoor, and four outdoor tennis courts really are the best around – there’s nothing like playing a game on them! We have probounce carpet on our indoor courts, which is really soft to play on, and great for the joints – in fact, it reduces the impact of running and jumping by 30%. And, our outdoor clay courts are state-of-the-art – after it rains you’ll only have to wait ten minutes before they’re ready to play on again! If your children love tennis, then they’ll love our Tennis coaching programme in the club. Our expert coaches teach children aged from 3-11 all the tennis skills they need. Besides keeping them active, learning new skills and discovering a fantastic sport, they’ll also be making new friends and having loads of fun along the way. And, whilst they’re in their lessons, you can hit the gym, spa or play a match of your own! 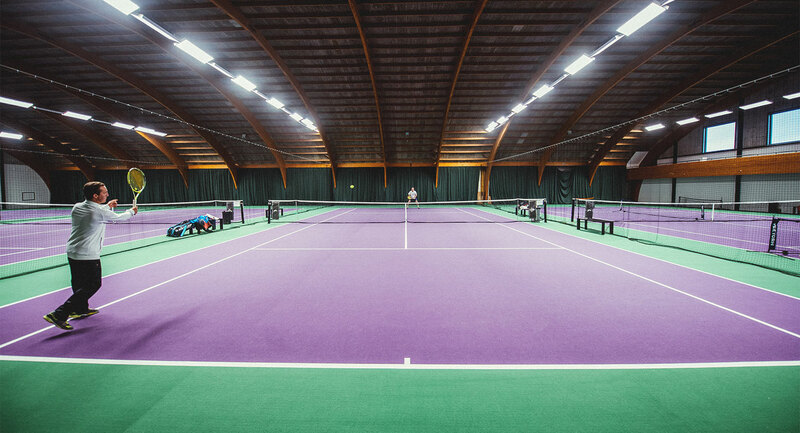 If you love tennis, there’s nowhere better to play than David Lloyd Antwerp. Our facilities and culture here are second to none – we’ve got four indoor and four outdoor courts, as well as some great coaches. They’ll give you the boost you need, whether you want to improve your serve or backhand, build your tennis confidence, or focus on a specific part of your game. Come along and have a go playing on our state-of-the-art courts!